Strasbourg-based CroisiEurope passed another milestone in the company’s history on Thursday, May 22 as its newest river cruise barge was officially welcomed into the fleet at Quai de Grenelle in Paris, France. CroisiEurope has christened its newest river cruise barge, the Raymonde, in Paris, France. Photo courtesy of CroisiEurope. The Raymonde will navigate the Saint-Martin canal in Paris, along with the Marne canal from Paris to Châlons-en-Champagne and reverse. Along the way, port calls will be offered not only in Paris, but also in Nogent-surMarne, Meaux, La Ferte-sous-Jouarre, Chateau-Thierry, Dormans, Epernay and Châlons-en-Champagne. 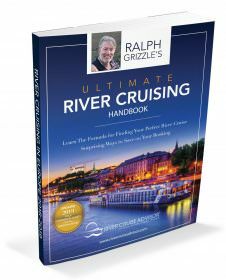 CroisiEurope’s foray into barging has been an unprecedented success. At just 131 feet in length and 19 feet wide, the Raymonde has 12 staterooms that can carry a maximum of 24 passengers. Six crew members are also onboard, and include a captain, steward, chef, barman, cabin hostess and seaman. Staterooms are climate-controlled and offer private bathrooms. The Raymonde also offers a common lounge, bar, restaurant and sun deck complete with lounge chairs and a Jacuzzi. Bicycles are also available onboard for guests to use on their adventures ashore. Present at the christening of the Raymonde was the Schmitter family, the driving force behind CroisiEurope. Gerhard Schmitter’s daughter-in-law Raymonde serves as both godmother and namesake of the line’s newest vessel. CroisiEurope was established in 1976, and with the launch of Raymonde, the company’s total fleet count is at nearly 40 vessels ranging from barges, river cruise ships as well as hybrid ocean and river cruisers. CroisiEurope offer sailings throughout Europe including the Mediterranean coastline, and along the Mekong in Vietnam and Cambodia. 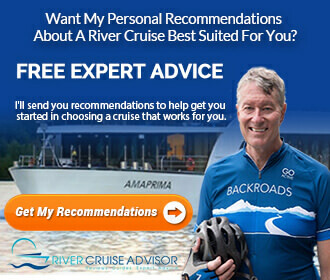 More information about CroisiEurope can be found by viewing our complete company overview here on River Cruise Advisor.